Government policy and regulation offer the biggest barriers to the deployment of battery energy storage in the UK according to the All-Party Parliamentary Group (APPG) on Energy Storage, which claims 12GW of batteries could be deployed by 2021 under the right circumstances. Working with the Renewable Energy Association (REA), the APPG released a report on Thursday night at its Winter Parliamentary Reception in the House of Commons that analysed the impact of policy change on the roll-out of batteries in the UK. It asserts that there is “a clear requirement for energy storage at home and abroad”, whether to increase energy self-reliance, maximise the efficiency of renewable generators, support the roll-out of electric vehicles or help balance the grid. However, the Batteries, Exports, and Energy Security report adds that this will not be achieved without an improved regulatory landscape. “Despite improving supply chains and rapidly falling battery costs, in the UK the entrenched barrier to the widespread deployment of lithium-ion battery storage…remains government policy and regulation,” it states. The report outlines three scenarios for deployment with 12GW possible under the high scenario, a mid-range 8GW of capacity and a lowly 1.7GW if policy is not supportive ad costs fail to fall as rapidly as projected. The high scenario rests on a number of previously announced initiatives being delivered on time and a series of new initiatives being brought forward. Much of its rests on the successful delivery of the Smart Systems and Flexibility Plan, as well as the publication of guidance to ensure storage can be deployed on existing solar and wind farms without them losing the accreditation to subsidy schemes. Other required elements for the high scenario projection include capacity market reforms to allow storage to compete more readily with diesel generation; rapid cost reductions; a sector deal for energy storage; and the successful simplification of the National Grid ancillary services market with favourable opportunities for storage. However, there are a number of issues which would require significant u-turns, such as favourable reforms in Ofgem’s Significant Code Review; reversal of planned changes to embedded benefits and a separate definition for energy storage in legislation outside of current plans for an amendment to generation licencing in the Electricity Act. It would also require significant progress within the transition by network companies to distribution system operators (DSO), with two leading companies completing this by 2019. However, the Energy Networks Association told sister title Clean Energy News last week that full transition was being targeted for before the introduction of Ofgem’s next electricty network price controls in 2023. Peter Aldous MP, chair of the APPG on Energy Storage, said: “Significant battery storage deployment is possible if the government keeps to the targets and timelines it has already set for encouraging electricity system flexibility. “12GW of battery storage would improve the UK’s energy security, would help us maximise our energy self-sufficiency, and empower consumers across the country as they are more able to manage their bills and take personal action to reduce carbon emissions. “Such a significant amount of battery storage deployment would also support the government’s ambitions to develop the UK into a battery manufacturing powerhouse, evidenced in the Faraday Challenge funding announcements last week. Battery manufacturing would create new jobs and exportable expertise post-Brexit. However, given the current pace and nature of policy change, the APPG estimates that the medium deployment scenario of 8GW of battery storage is more likely, whereby the changes are less immediate and some market reforms are not enacted. Despite this view, it also adds that battery storage could follow a similar path as solar PV, which exploded in the UK as a result of cost reductions – also being experienced by battery technologies – and public support stemming from the ability to assist in reducing bills, and empower consumers to generate their own low-carbon electricity. Dr Nina Skorupska CBE, chief executive of the REA, said: “The UK government and many in the industry significantly underestimated how cheap and popular solar PV was to become. Analysis at the start of the decade by the energy regulator, Ofgem, expected between 2GW and 7GW of solar to be deployed in the UK by 2030, instead over 12GW was deployed by the end of 2016. 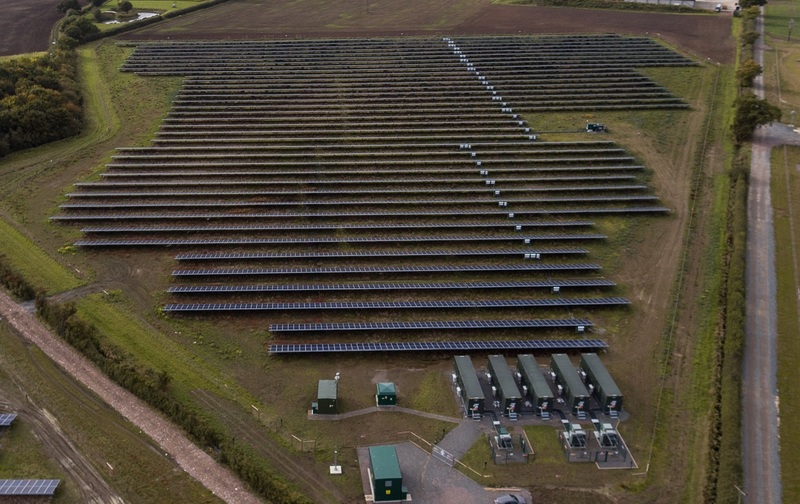 “The technology and deployment patterns for battery storage and solar PV are similar, and this report is intended to drive big thinking and put the UK on the front foot, rather than react after-the-fact. The officers of the APPG on Energy Storage are Dr Alan Whitehead MP (Labour), John McNally MP (SNP), Lord Teverson (Lib Dem), Hywel Williams MP (Plaid Cymru), and Alan Brown MP (SNP).